I finished up my book project last month and had a bit of a break last week, so it’s time to get back to my (unofficial) coloring page series! This month, since I’m still taking a break from insects, I decided to go back to an inspiration from a couple months ago. Back then, I posted this photo on my Facebook page, giving people a real-life “What’s Wrong with This Picture” challenge. Can you figure out what's wrong? You know that stereotype about squirrels eating nuts? Well, I started reading up on squirrels last year and learned that they eat much more than just nuts. I won’t go into details about what they do eat, but they’re not vegetarians. The only things they don't really eat are cellulose materials such as leaves, grass, and woody stems. Here’s the link to download the free coloring page I created. Find a quiet place to sit and watch squirrels. Make a list of things that squirrels do while they are playing or looking for food. Invent a new word to describe the way a squirrel moves. 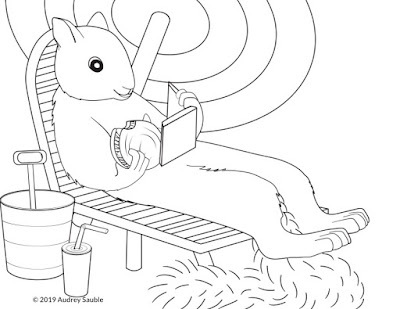 Use leaves, sticks, pine cones, and other natural material to "draw" a squirrel. Help a squirrel out and plant a tree (or smaller bush). Read some squirrel stories (Ol' Mama Squirrel, Scaredy Squirrel, and The Secret Life of Squirrels are fun). Make up your own story about a squirrel. If you want, you can use the tips here for practicing storytelling with kids. If you are interested in more coloring pages and kids' activities, I'd love to have you sign up for my newsletter! 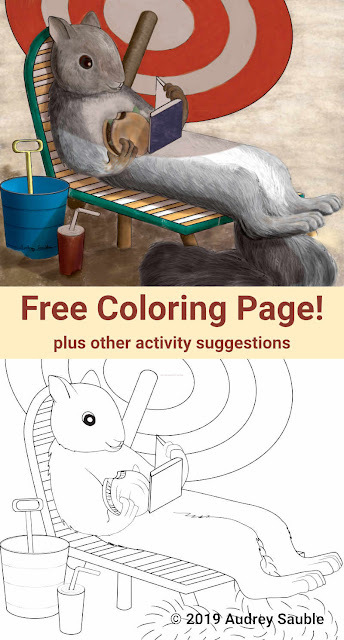 You'll get a small packet of printable nature activities and coloring pages and an email about once a month with the latest updates and occasional bonus activities. 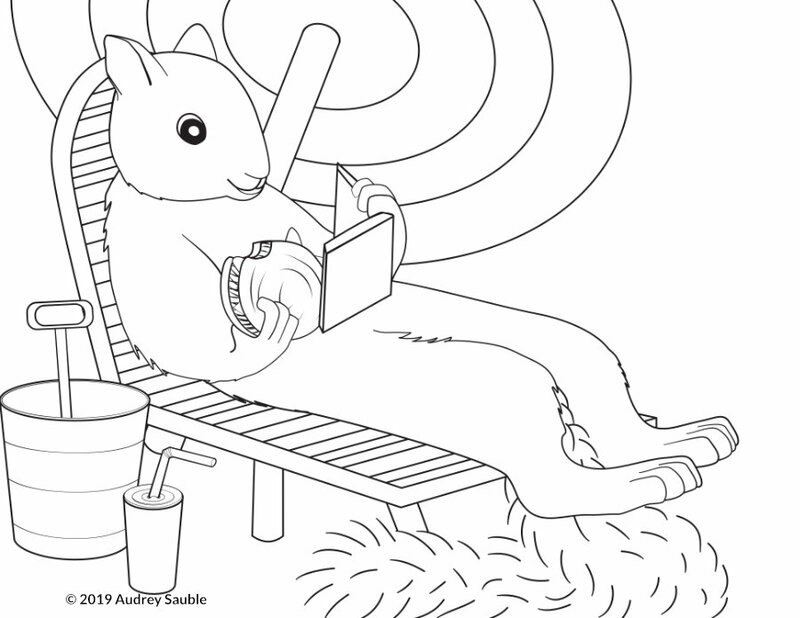 Such a cute coloring page! He sure looks relaxed. Thanks so much for sharing with us at the Virtual Refrigerator. Pinned. Thank you! And thank you for hosting the link-up!